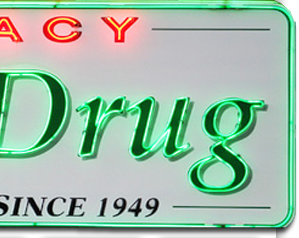 Gaddy Drug is a local, family owned drugstore that is dedicated to providing the best customer service in the area. 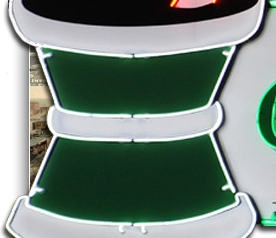 We have proudly served Muskogee and the surrounding area for more than 60 years. 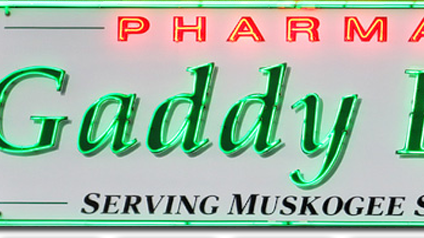 Gaddy Drug is a pharmacy from the "good old days," catering to its customers in the same personalized manner as they were treated in 1949. You will find our pharmacy staff is knowledgeable and accessible. While our commitment to personal and old fashioned service is still the most important aspect of our business, we are constantly striving to improve. In addition to boasting fast, no wait prescription service, Gaddy Drug offers free delivery inside city limits, medication counseling, nursing home and hospice service, and extensive compounding. Our modernized pharmacy will manage and maintain the intimacy of a neighborhood pharmacy while providing you and your family with quality, customized care. We look forward to serving you the next time you need to fill or refill a prescription or when you are just looking for sound advice from a caring and compassionate staff.